Ten branch managers of RC Manubhai Group of Companies were awarded with top leadership awards at the Group’s 2016 Awards Night on Saturday evening at Xavier College in Ba. The ceremony was officiated by the Attorney-General and Economy Minister Aiyaz Sayed-Khaiyum who thanked the RC Manubhai for recognising the efforts of their staff which would further encourage them. 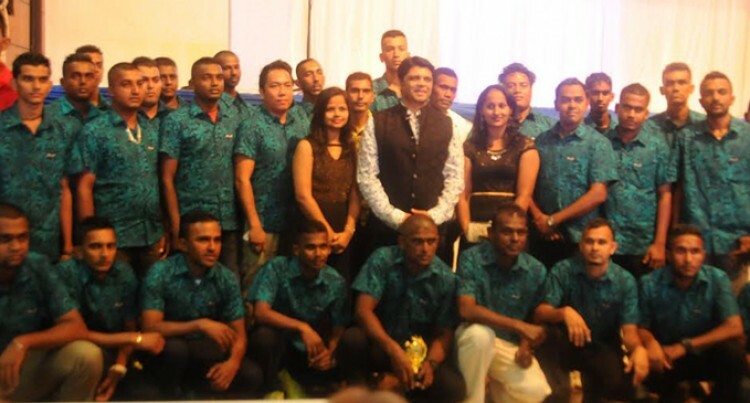 The managers each received a trophy and a weekend family getaway to one of the finest Fijian resorts. The RC Manubhai Group of Companies Human Resources manager, Amisha Vaghela said the effort was in line with what the Attorney General reiterated at the CPA conference last week. “Since we are here to witness the credit that our company has for our hardworking staff, I would like to highlight that,” Ms Vaghela said. “We the senior management team were attending CPA conference which was held at Shangri-La in which the AG in his motivational speech, encouraged business owners and managers to recognise performances to achieve highest productivity. In his speech, Mr Sayed-Khaiyum said the Government believed and recognised that if all did their part in their families, homes, work places, society and in our country then there is enormous potential that Fiji can actually realise. The RC Manubhai Group of Companies managing director, Dinesh Patel, said the success and growth of his organisation has been due to two very important things which included, firstly the solid foundation that was laid for his family to build upon by their forefathers. He challenged all those who have missed out this year to be focused, honest and committed in whatever they did. A total of 38 staff were awarded for their hard work and dedication to the organisation. One of the recipients of the top leadership award and the RC Manubhai, Ba shop manager, Avinesh Lal said the idea of rewarding employees was a good one which proved strong on both ends. “I started off last year in March and since then have noticed the employer’s dedication towards employees and their commitment in giving every new person a chance to prove their abilities. Our staffs have been doing very well,” Mr Lal said . Leadership Awards include the recognition of the hard work of each one, a trophy plus a weekend getaway (with family/one night) and getaway to one of the resorts.